The electric skateboard to end all others, the Bamboo GTX Series All Terrain is most certainly not for inexperienced--or the faint of heart. 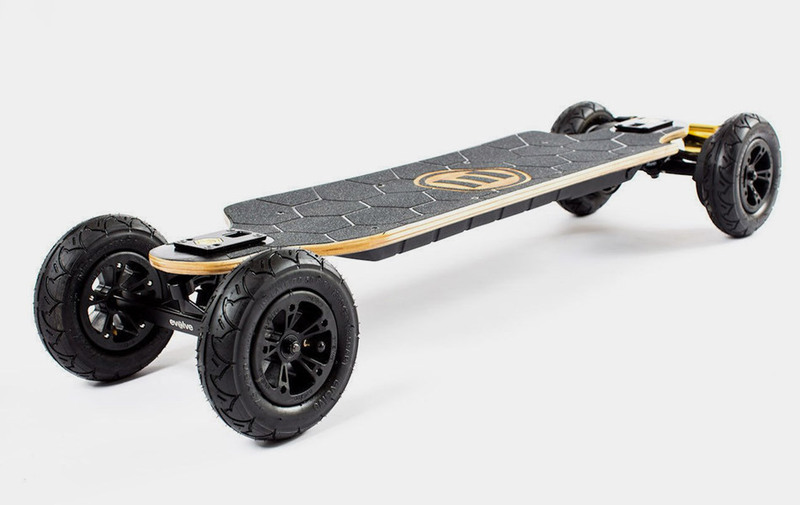 Blending the best of the Evolve Carbon GT and the Bamboo GT, it boasts a bigger battery, better deck flex and laser-cut grip tape, its gold-finished 3,000W motor is good for up to 37km/h and a range of up t0 30km. Plus, there are various ride modes to suit your mood, but we reckon you start off in SLOW, seriously.